When most businesses think about social media, they tend to direct their energies on relationship building, direct customer engagement, content sharing, customer service, and attracting new customers. All import items… But you also need to make sure each social media profile is correctly optimized. When correctly optimized, social media profiles and business pages start to rank in search results making it easier for your ideal clients to find you. Not to mention the potential clients who are searching directly within social media platforms. A few simple steps to improve your pages could result in more traffic, leads, and revenue for your business. The minigraphics included in this post were produced by HigherVisibility. Create a vanity URL to match your page name. Create a username that is as close as possible to your business name, brand, or identity of your public figure. Usernames cannot be transferred or changed, so choose one that you’ll use long term. If you’re not using your brand name, use keywords your audience might use when searching. Make your page name brandable and memorable. The first word of your page name is the most significant. Your page name doubles as the page title. This displays at the top of the page of the browser and is also served to the user in the search results as a meta title. Complete your profile – Take time to completely fill out the “About” section. Emphasize who are and what you offer in the page description. Page likes don’t affect Google search rankings. 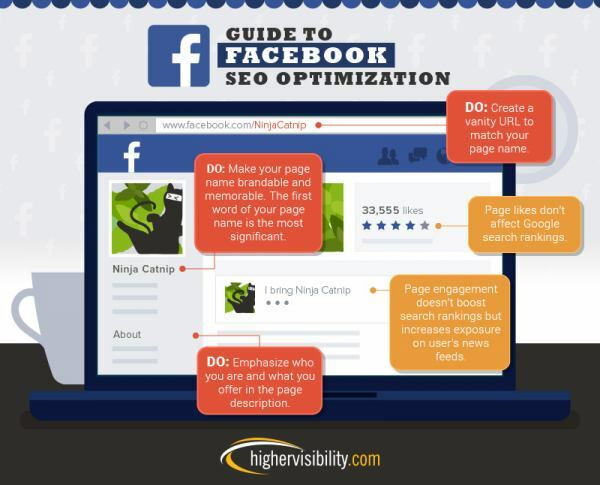 Page engagement on Facebook doesn’t boost search rankings, but increases your exposure user’s news feeds. Google’s goal is always to show the most relevant, informative results to its users when they make a search query. For that reason, if there are local results to help a search user then those are going to be featured prominently at the top of the search results. A quick search for “salon” will show map listings of local salons, reviews and Google My Business listings for local establishments fitting that search term. The remainder of the organic results get pushed down. So… Google My Business can be a real SEO big win for a small business. But, without taking the time to claim your listing, you won’t have a chance to hold on to one of the top coveted positions. Claiming and optimizing these business listings is of critical importance for a local business. Claim your business, otherwise you won’t show up on local maps and listings. Like other business listings, such as Yelp, you have to claim your listing before you can manage and optimize it. If a listing does not exist for your company, you can create a listing and submit it for verification and approval. Reviews can influence the visibility of your local business in online search. 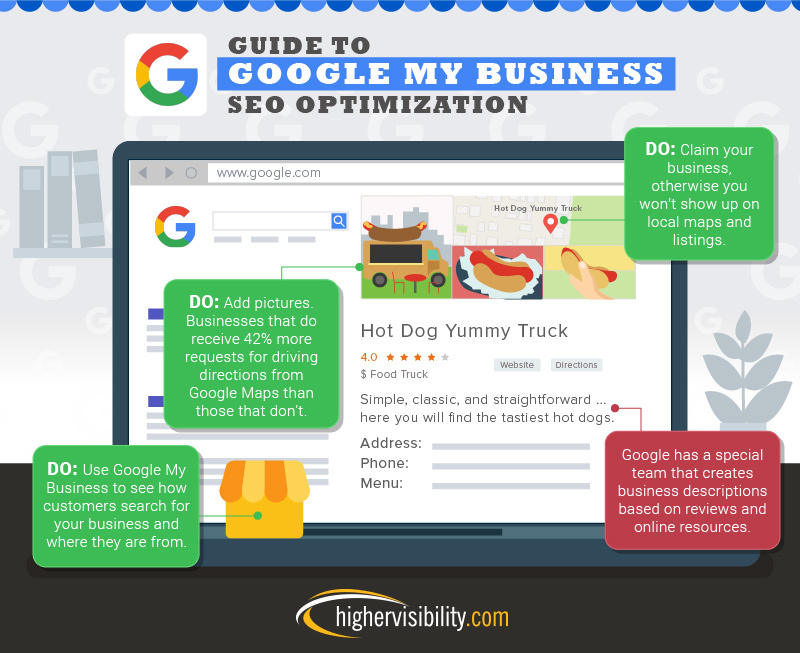 Reviews that mention products and services lend to that optimization and can help your business show up for specific local product or service searches, according to Search Engine Watch. Businesses that do receive 42% more requests for driving directions from Google Maps than those that don’t. 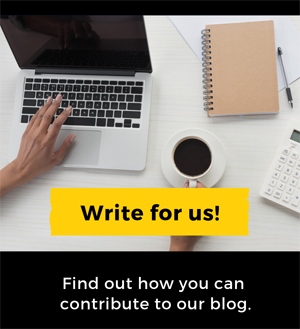 Show off your products and company culture. Use Google My Business to see how customers search for your business and where they are from. Yelp is one of the most trusted websites for online reviews for local businesses. It’s simple to setup. Once completed, maintenance takes little time. 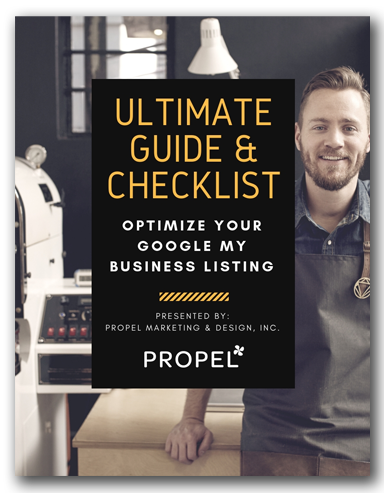 Like Google My Business, before you can customize and add content to your business listing, you need to claim it. If your business isn’t listed, you can add it to Yelp. If you do find a listing for your business, click to start the claim process. This is the most important step once your business is claimed and verified. Fill out as much information as possible to boost visibility. Yelp favors complete profiles. 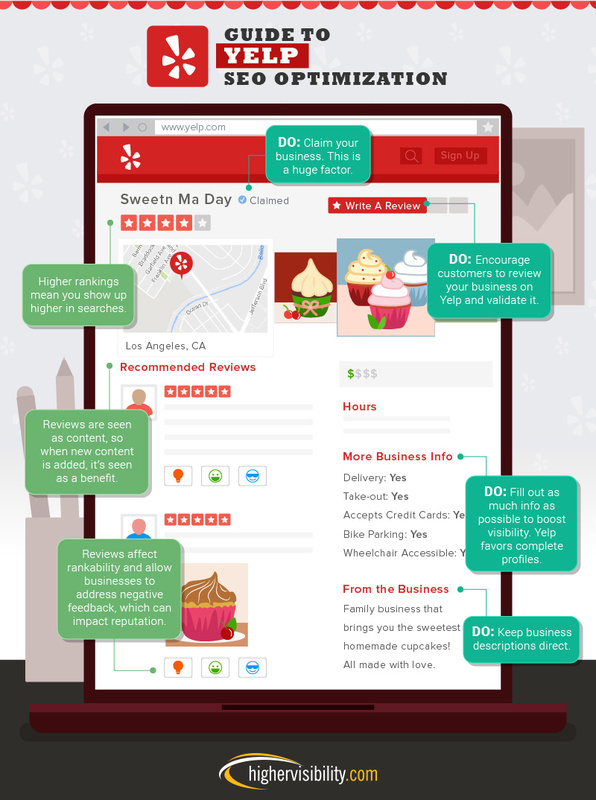 Encourage customers to review your business on Yelp and validate it. The freshness score of content is one of the many ranking factors used by Google. Their goal is to serve up the most current and most relevant content around a user’s search query. This makes it much easier to get listings, like those on Yelp, to the top of the search results. Reviews affect rankability and allow businesses to address negative feedback, which can impact reputation. Add photos. According to research from Review Trackers, consumers devote as much as 2.5 times more attention to a Yelp business page containing photos than those without. Pinterest has come a long long way since it first started in 2010 and it’s not hard to make the case that Pinterest is a perfect social network for some businesses. But just because it’s primarily visual doesn’t mean there aren’t opportunities to optimize the social profile and content. Be specific in your board names to help break through the clutter. Optimize boards by using a mix of creativity and strategy. 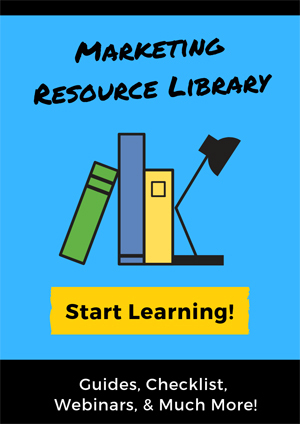 Use headline and detailed description that include search terms. 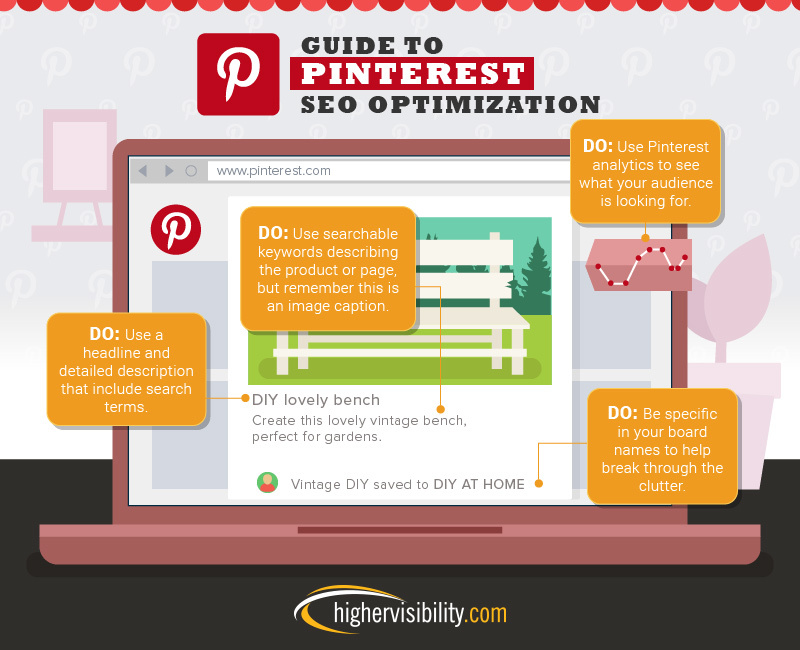 Every pin should have an optimized description using searchable keywords that describe the image, product, or page you’ve pinned. Use Pinterest analytics to see what your audience is looking for. Use searchable keywords describing the product or page, but remember this is an image caption.